Figure 5. Analysis data from culture of MMP-1 expressed cellulose after infrared light exposure. 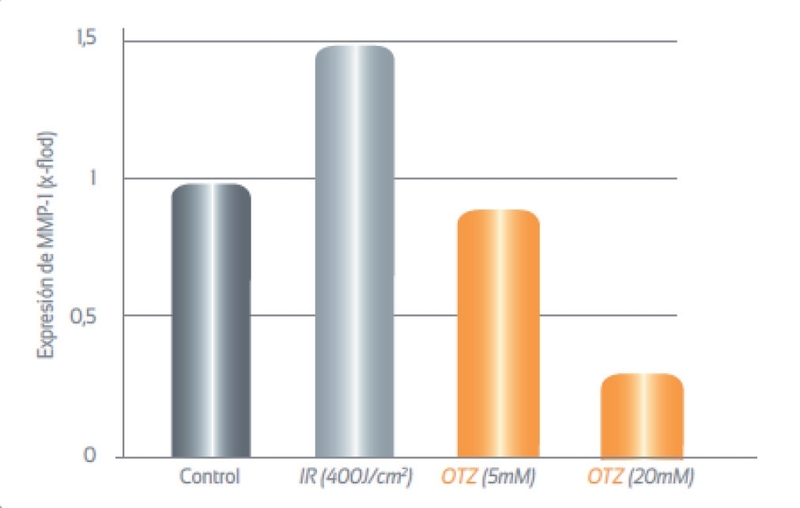 OTZ directly inhibits MMP-1 expression and shows potent antioxidant and detoxifying actions. Heliocare 360 was shown to be safe not only in dermatological use but also in ophthalmology. 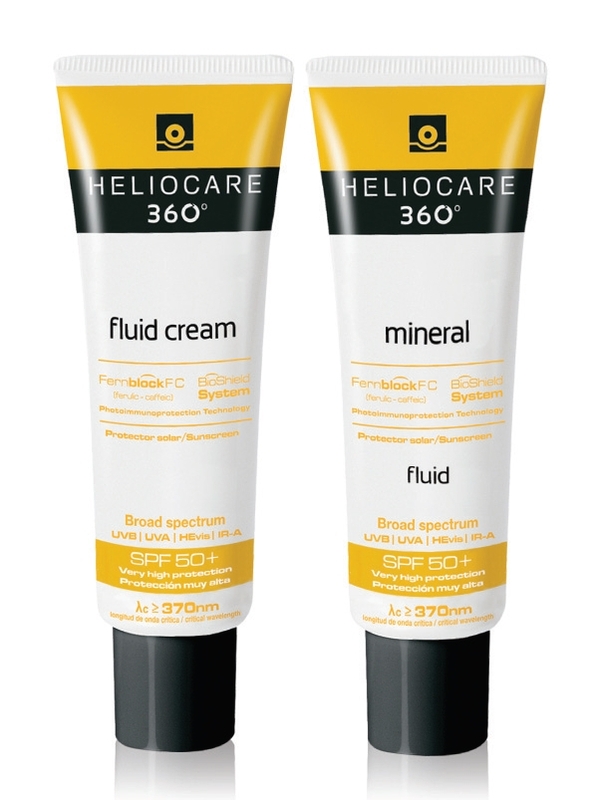 Heliocare 360 is available in two types; 360 Fluid Cream and 360 Mineral Fluid. 360 Fluid Cream has excellent hydration effect and is recommended for dry and aging skin. 360 Mineral Fluid minimizes the common white cast effect of mineral sunscreens and allows appearance of a natural skin tone. It is scentless and does not have oily or sticky texture. Its lightweight application and high absorption make it ideal for anyone including children and men. Heliocare 360 offers innovative protection against daily exposure to infrared light, visual light, and UV rays and helps soothe photo-sensitive skin after laser or peel procedures. 2. Schroeder P, Calles C, Krutmann J. 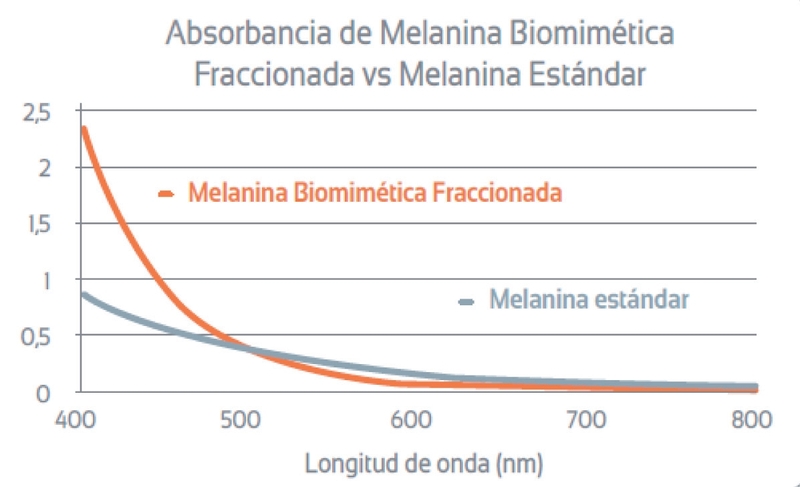 Prevention of infrared-A radiation mediated detrimental effects in human skin. Skin Therapy Lett. Jun 2009;14 (5):4-5. 4. #Effects of UV radiation, HEV, and infrared radiation on erythema and pigmentation: a review# (Photochemical & photobiological Sciences – 2013. Lidsay R. Sklar et al.